Thread: What's your HSV story? My first HSV was the original Club Sport VN 1990 manual in Atlas Grey. It had an amazing 180 kw. I loved it! Kept it for 12 years and 180,000km to move to WRX. Back with a 2008 GTS auto. With some enhancements, good for 334KW on hub dyno. Still have it but reluctantly going up for sale. Current drive is VF2015 GTS auto. haha, reminds me of when I had the VZ and we announced a baby was on the way. My Father in-law asked what SUV i'd be trading the Clubsport in for. I laughed him off and told him we already had a family sedan. Haha, I'd be pretty happy to pick up an LSA clubsport for my wife, but suspect she wants what your father in-law had in mind..! Nath, I drove your old Maloo not long after my wife’s uncle bought it and I was seriously impressed with everything about it! Looks great and went hard! It goes even harder now that’s it’s got a Cam haha the Maloo is a credit to you mate! Intrigued to know what mods you've done on the RS3 to get a flat 11 p***? 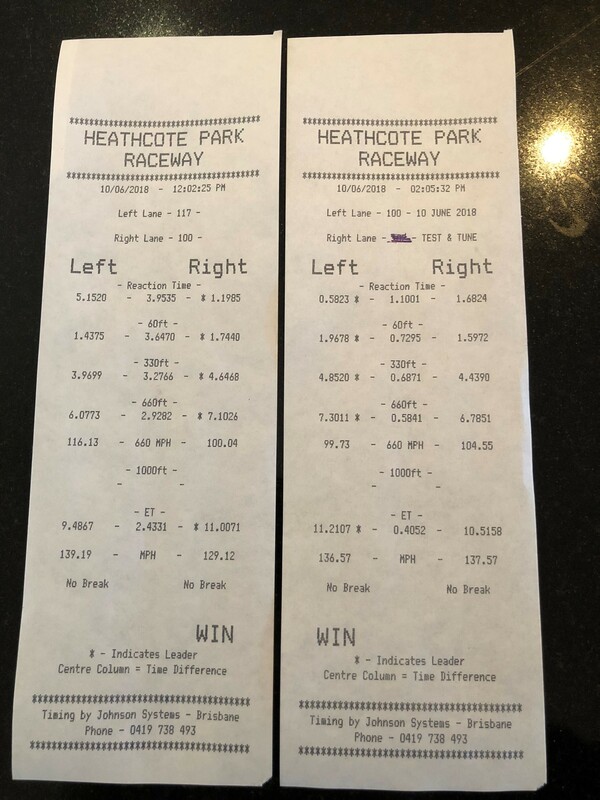 Ran 5x flat 11's in a row @ Heathcote on street tyres, ill be going back to Calder when it opens back up. Hi mate, just flicking through Motor magazine from August. Any chance that is you and your car? W00t, gonna test drive some LSA goodness Thursday night. Hi all, I’m new to the forum so I thought I would post an introduction here. In 1991 I bought a new Maloo - number 23 - and in some way would like to know what has happened to it since I sold it in 1993 and thought someone on here might have come across it ? I would love to hear some more of this cars history. I still have the VP SS 185 that I traded the Maloo for and an SLR5000 Torana + an LX 5.0 litre Sedan amongst others. "LX 5L Sedan"?.....what would that be,...could you say more about it? It was a bog stock 6 cylinder, column auto, bench seat bag of rubbish I found at a wrecking yard about 10 years ago. But the shell is rust free and in reasonable shape. I’ve since fitted a VB Commodore V8 spec rear axle with disc brakes, injected 5.0 litre V8 and front brakes from a VP / VS along with brake booster and master cylinder.